Caravan Towing Service...local, regional and nationwide. 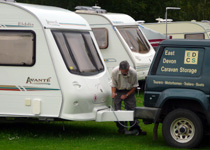 We provide a popular towing service to the many caravan parks in this delightful corner of Devon. This enables you or your family to visit East Devon for a holiday, without needing to bring a tow car or do any towing, saving time and fuel in the process. To go to the Woodbury caravan parks we charge £7.50 one way or £15 for delivery and collection. For other East Devon Caravan Parks, within 15 miles, it's between £15 to £50 one way. 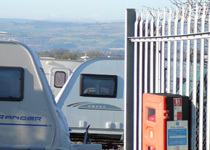 We also provide a towing service to other UK destinations, dealers or campsites. Our rates vary depending on distances. We only use experienced drivers, our own 4-wheel drive towing vehicles and we are fully insured whilst towing your caravan.